Trending plot for the median level in CRIRES DARK exposures. The trending shows median levels from DIT=1sec and DIT=300sec exposures for all four chips. Click on any of the plots to see a close-up version. 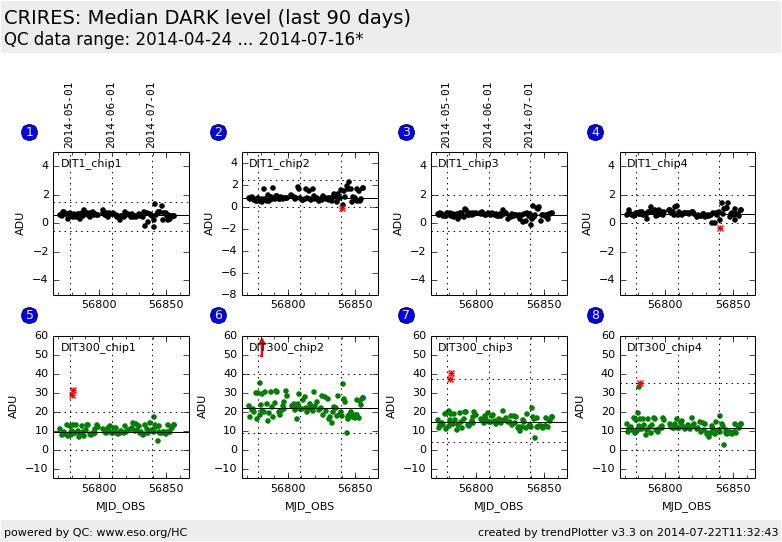 If applicable, the latest values from Paranal ops logs are plotted as blue dots. More information about those values, including a download option, is available in the OPS column. The latest date is indicated on top of the plot, data points belonging to that date are specially marked.